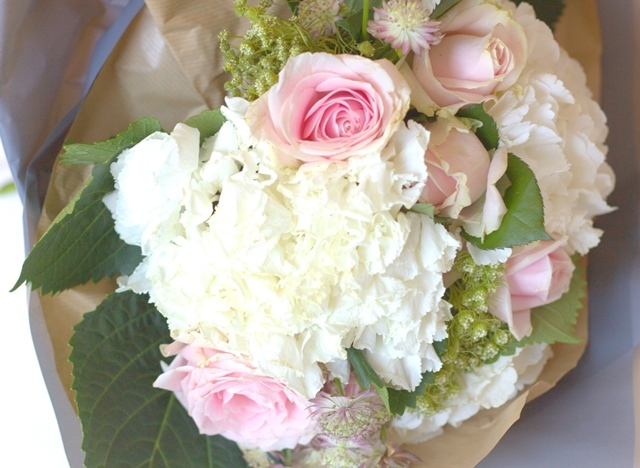 Recently, I received a beautiful hand-tied floral bouquet from Beards & Daisies. Beards & Daisies is known as ‘the letterbox florist’. Delivering gorgeous fresh flowers, in luxury wrapping through your letterbox so no more missed flower deliveries! This Summer has seen the launch of the brand’s first collection of hand tied bouquets and I have been lucky enough to receive one of them. What I absolutely love about this bouquet is the colours which match my blog theme perfectly! 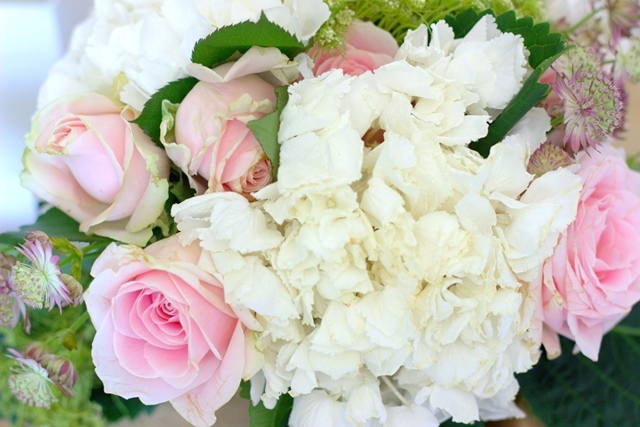 There are blush pink roses and hydrangeas both of which I love! Unfortunately, peony season is now over (sad times for us bloggers) but this bouquet more than made up for the lack of peonies. The whole bouquet was so well presented and I fully made use of it, even once the flowers started to welt a little I used the rose petals for some Instagram pictures. If you don’t know about Beards & Daisies the brand was started by ultimate girl boss, Jo Lambell. Leaving the corporate world, she registered a business, set up a domain and had packaging ideas within the space of six hours! She had always had a creative flair and took a floristry course but work commitments had never given her the time to pursue her real passion, until one day she just decided to go for it. Beards & Daisies is known as the bouquet in a box company, it is perfect for gifting of course and available as a subscription service too. I love success stories like this, where people (especially girl bosses) follow their dream and make their dreams a successful business! So I had to share this story as I think it is so inspiring. Of course I loved the bouquet too and I love the idea of a monthly floral subscription that can be delivered through my letterbox.